How many times have you watched a movie and thought, “Wow, I wish I could go there!” While a lot of today’s movies are done in studios with green screens, many of the physical locations used by films of the past are still around. From the lush green landscapes of The Lord of the Rings to the futuristic setting of Gattaca, you can visit these locations and step into the movies. Maybe you can re-enact a favorite scene, or take some Instagram shots that will make your friends jealous. Either way, here are some famous movie locations you can visit and re-live some of your favorite cinematic moments. Whether you want to visit the cubby homes of Hobbiton or the vast fields of Rohan, New Zealand is mecca for Lord of the Rings fans. 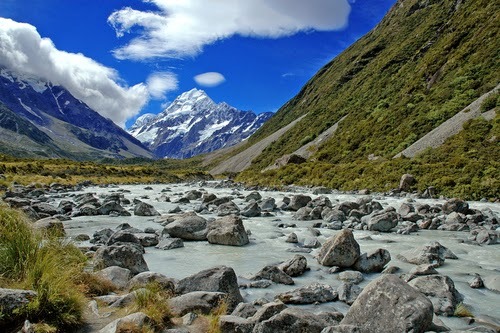 Companies like Twizel offer a variety of tours that will take you to spectacular filming locations and the little that remains of some of the sets used in the movie. The film is said to have been responsible for the revival of New Zealand’s tourism industry. Many remember the futuristic landscape depicted in the Harrison Ford film, but the house that belonged to Deckard is one of the coolest architectural structures in science fiction films. You can visit this house in Los Angeles. 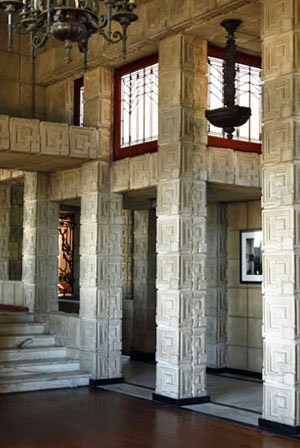 The Ennis House is a creation of Frank Lloyd Wright and thus considered a landmark. The home was built in 1924 for retailer Charles Ennis and is one of four of his Los Angeles homes that use the textile and perforated concrete design. There were 27,000 of these blocks used to construct the home. Ennis House was sold in 2011 to a local businessman who is planning a total restoration of the property. Do we really have to explain why visiting this location would be awesome? This location was used as the setting for Yavin 4 in Star Wars: A New Hope. Imagine the selfies you could take wearing storm trooper helmets. 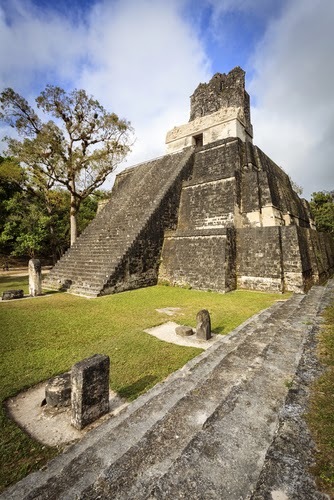 Tikal National Park is considered a UNESCO World Heritage site, so you can expect to have it around for a long time. This location is a must on your list. Sticking with our sci-fi theme, this Californian architectural wonder was used in two sci-fi classics: George Lucas’ THX 1138 and Gattaca, which starred a pre-Kill Bill Uma Thurman. The civic center was the last building to be commissioned by Frank Lloyd Wright. We could do an entire blog post about movies filmed in New York, but we decided to mention Ghostbusters. Despite the sad passing of Harold Ramis (Egon), Ghostbusters 3 is still going to be done. While we’re sure many NYC sites will be used, the most iconic location in the movie, the firehouse, is still there for all to see. Head to the Tribeca neighborhood to find the Hook & Ladder Station 8, which served as the Ghostbusters’ home base. There were recent rumors that the firehouse may be closed or sold due to budget related issues.